You just have to look at how clean it is and the quality of the water to realize that is a great spot. 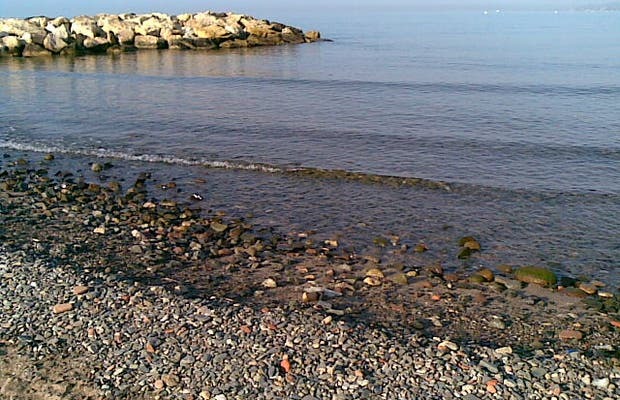 This beach is situated at the start of Passeig Maritim de Ponent, in Cambrils. It is tiny, it is only about 360 meters wide. It is a sandy beach, but on the shore you can usually find gravel. It has many facilities, including a snack bar, showers, access to the gateways, skate rentals and kayaks. I like it because the atmosphere is very familiar, there are no hotels nearby and parking is difficult, so it is best to avoid going on Sunday. You just have to look at how clean it is and the quality of the water to realize that is a great spot.